the better our chances that it will be the LAST world war. War must be confined to history books and game. Note: I am now 72, and this webpage must be renewed every April. If I am no longer around, it disappears, so folks would be wise to go ahead download (for your own personal use) everything you want ... or might want ... now. Contact information: I am here in Flateby, Norway. My new phone number is 40 21 61 50 and I'm at ELCOAT@hotmail.com . Seminal professional Defense 81 (May81) articles on professional wargaming crises and commercial boardgames' value to military professionals by Dr. Francis Kapper, former Director of the DoD Studies, Analysis, and Gaming Agency (SAGA) ... whom I met with in his office down deep in the Pentagon a month or two after they appeared when I was down from Alaska. And my thanks to Alaska State Library Documents and Reference Librarian Kathleen Fearer for obtaining these from the scarce print copies. 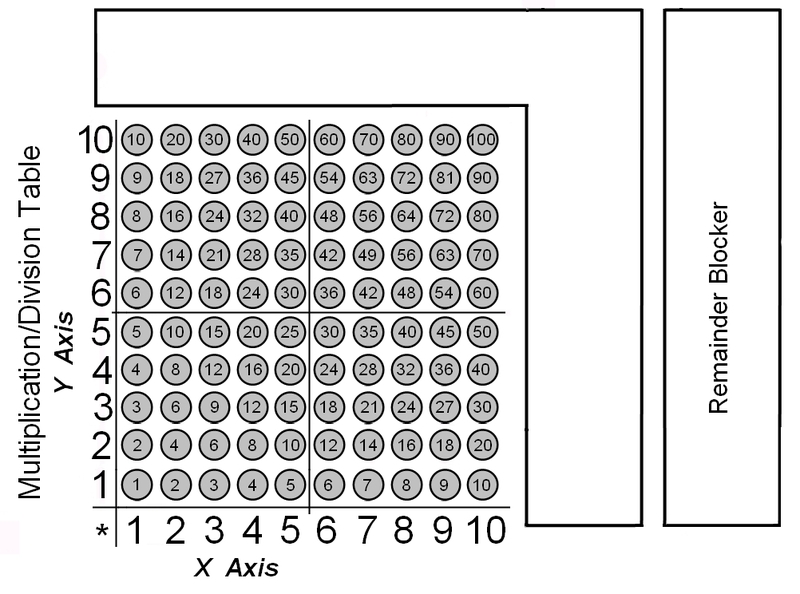 And here is a simple 10 x 10 multiplication table to help kids *envision* multiplication. NOTE: The publisher Banner of War of China is licensing from me publishing rights for my earlier game Patton's Lorraine Campaign, about Patton's attempt to break through the Siegfried Line (before the Dec44 German Ardennes counteroffensive). Weekly turns. Regiment to division level with some U.S. tank and tank destroyer battalions. 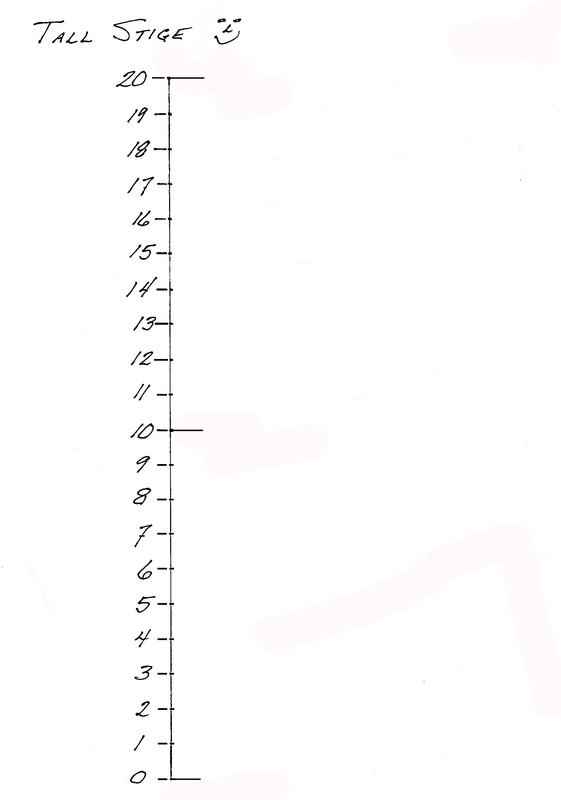 Revised, 6Dec12. So for the 4-year duration of our contract, it is withdrawn from here. NEWER THAN NEW: Showdown Battle: Marianas and Philippine Sea Jun44 (aka The Marianas Turkey Shoot) The biggest aircraft carrier battle of World War 2. NEW: Moscow Assailed, 1941 A playable hex-and-counter game about the strategically decisive Battle of Moscow featuring Russian maskirovka/deception and explosive German offensive capability. NEW: Mongoose vs. King Cobra: Indian Ocean Carrier Raid Apr42 A relatively playable naval game about the Japanese carrier strike which historically sank 23 freighters, 2 destroyers, heavy cruisers Cornwall and Dorsetshire, and carrier Hermes ... but what if the Japanese had planned to land on and take Ceylon/Sri Lanka as well? Debacle: Dutch East Indies and Malaya 1941-42 A relatively playable combined operations game about the brilliant Japanese campaign to take Malaya and the Dutch East Indies, which commenced on Pearl Harbor Day (8Dec41 in the Far East) and concluded 2 months ahead of schedule"!, on 7Mar42. Mortain Aug44: Old Hickory vs. the SS A playable game about the German counterattack west, to cut off at Avranches Patton's 3rd Army's breakout - defended by 1st Army's "Lightning Joe" Collins' VII Corps. Free boardgame Task Forces and Convoys: A Naval Chess Game A very playable, chess-like World War 2 naval operations game for family and friends with a VERY simple (but not easily won) introductory version. Free boardgame Matapan: The Naval Battle for Greece, Mar41 A relatively fast game with relatively few pieces/units about the strategic naval battle 27-28Mar41. Free boardgame Desert Campaign: North Africa, 1941-42 A relatively fast North African campaign game with relatively few pieces/units. 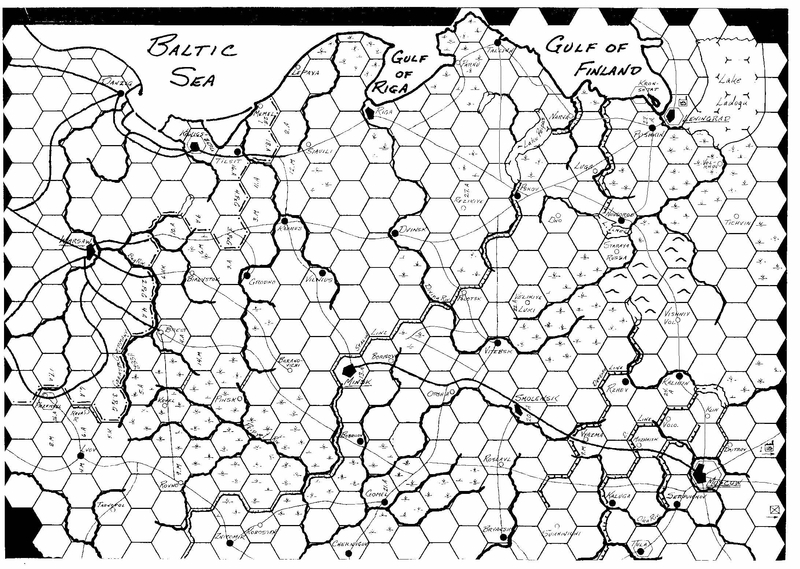 The excerpted Operation Crusader and Battle of Gazala subgames are READY NOW. El Aghiela, Mursa Matrah, and Alamein subgames to come. Free boardgame Eagle Attack! Market Garden to Arnhem, Sep44 A very fast and simple point to point game about the attempt to shorten World War 2 by getting control of a highway through the Netherlands up across the Rhine River at Arnhem, to enable quickly attacking and defeating Nazi Germany in its relatively open northern lowlands - the subject of the excellent feature film A Bridge Too Far. Free boardgame 9Apr40: Norway angrepet! (Norway attacked! The BASIC game is up, with the naval and air war abstracted. The Advanced game, with those specified, is working up. Free Death Struggle: Barbarossa 1941 SubgamesBasically corps level on specific campaigns within Barbarossa, starting with the campaign to Leningrad. Intended as an introduction to the larger, more division/brigade detailed Death Struggle game an its system. 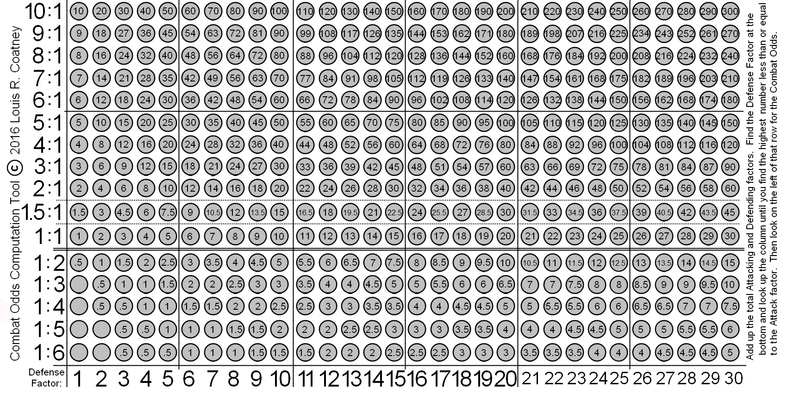 Free boardgame Death Struggle: Barbarossa 1941Down to Russian tank brigade level - MANY pieces on 24mis/39kms per hex mapsheet. Free boardgame Moscow In Peril: 1941Down to Russian tank brigade level - on 15mis/22kms per hex mapsheet. 3 turns per month. Free boardgame France 1870 A very simple game about Franco-Prussian War, 19July-19September 1870. Also now available in the professional boxed game with mounted pieces Teutons! from Hollandspiele (publisher of fine games). Free boardgame Murmansk Run: Arctic Convoys to Russia A relatively simple, abstracted game about the West's convoys to northern Russia, suffering hard conditions and taking grievous losses. NEW ... and yet OLD: Free boardgame Battle of Midway 1942, Minigame A VERY simple/abstracted game about the battle based on my 1990 game Deadly Reckoning: The Battle of Midway, June 1942 which I am editing for publication here. NEW ... and yet OLD: Free boardgame Sky, Sea, and Jungle: The Horror of Guadalcanal, August-December 1942 (1997) A relatively simple campaign game featuring a factorless naval combat system, night combat, Long Lance torpedoes, etc. NEW ... and yet OLD: Free boardgame The Barbarossa FIle: Deep Battles in Russia, 1941-42 (1997) A (division-)corps-army level game with 3 unknown possible Soviet orders of battle: Historical/Transitional, From Budyonny's Stables, and The Tukhachevsky Twist interfaces with 3 different possible levels of replacement with the Historical being the strongest. NEW ... and yet OLD: Free boardgame Battles for Alamein: July-November 1942 (1997) The classically simple boardgame from which my long-available classic little 1st Alamein was drawn - co-designed, really, by my elder son Robert. Free boardgame Gegenangriff am Kasserine A very simple boardgame about Rommel and von Arnim's devastating counterattack on U.S. forces in Tunisia in February 1943. Free board game NW Europe 1944 A relatively simple boardgame of the Allied campaign in Northwest Europe, from D-Day to/across the Siegfried Line and then the Rhine River. Air drops, strategic bombing, secret German reserve, more. Free board game Lion's Lair: Malta Convoys 1940-42 A fast-playing, point-to-point game of the British trying to battle their way through U-boats, Italian subs, Italian aircraft, German StuKas, Italian MAS motor torpedo boats, and the Italian fleet. Free board game - Moscow Embattled, 1941 - the Minigame This may be the smallest and simplest (yet adequately realistic) Battle of Moscow hex-and-counter boardgame possible. Free board game - Zhukov's Brutal Battle: Operation Mars, 1942 While the others were masterminding the double envelopment and annihilation of the German 6th Army at Stalingrad, Marshal Georgi Zhukov was ruthlessly and bloodily determined to elminate Army Group Center's Rzhev salient up north, west of Moscow. This is the subject of Col. (rtd.) David Glantz's book Zhukov's Greatest Defeat. Free board game - Berlin: Koniev and Zhukov Race to Victory The Russians' Berlin Operation, wherein Koniev's 1st Ukrainian Front and Zhukov's 1st Belorussian Front race to see who will take Berlin and kill or capture Hitler first. One player is Koniev and the Germans facing Zhukov, and the other player is Zhukov and the Germans facing Koniev - or one player can be the Germans and the other the Russians, in conventional fashion. Free board game: Moscow Defended! Basic, an even faster, simpler version of my little Moscow Defended! on my LCoat.tripod.com webpage. This uses the far simpler firing point system. The map is the same as in the older Moscow Defended!, with corrections. Free board game: Patton's Lorraine - Minigame, a much faster, simpler, smaller version of Patton's Lorraine Campaign - below - basically at division level. Free board game: Ardennes Petite (Ardennes Small): A Battle of the Bulge, Ardennes 1944, Minigame, a VERY fast, relatively simple little chess-like game about the desperate Dec44 Nazi German counteroffensive in the Belgian and Luxembourg Ardennes, which started 16Dec44. Darkest Crusade, a fast and fairly simple hex-and-counter game about the Axis 22Jun41 invasion of Soviet Russia - Operation Barbarossa - using Tiger Attack! 's popular firing point with fortification system. Also there is Darkest Crusade Mini with fewer units and even simpler mechanics. Free board game: TIGER ATTACK! The Battle of the Bulge, Ardennes 1944, a very fast, relatively simple point-to-point game about the desperate Dec44 Nazi German counteroffensive in the Belgian and Luxembourg Ardennes, which started 16Dec44. Moscow vs. Barbarossa, 1941, about the Nazi German offensive against Moscow and the Russian counteroffensive, October 1941-January 1942. 27 miles per hex (means 9 hexes from Smolensk to Moscow), corps-army level (32 Russian and 22 German ground units), half-month gameturns. Features Katyushas, Red Army parachute drops, Combat Odds Round-Off and Risk Resolution Rule, Optional Russian game-start, and more. MvB41's games system is based on my division level Moscow game, Barbarossa's Climax, and is a good introduction to it. Barbarossa's Climax: Moscow 1941, 26Oct13, about the Nazi German offensive against Moscow and the Russian counteroffensive, October 1941-January 1942. 10 miles per hex, division level, 6-day gameturns. Features katyusha regiments, Red Army parachute drops, Combat Odds Round-Off and Risk Resolution Rule, Optional Russian game-start, and more. Also: A Battle for Tula sub-game to learn Barbarossa's Climax's game system. Leningrad, 1941: The Embattled City, about the Nazi German attack on Leningrad, July-October 1941. Features special rules for the Red Banner Baltic Fleet and Marines, railway guns, optional reinforcements (historically used), etc. Blitzkrieg! The Attack on the West, 1940, about the Nazi German attack against Holland, Belgium, and France. Features special rules for Tank Fright and Armor Overrun, etc. Seven 7-day turns - historically, the Germans did it in five. Also now available in the professional boxed game with mounted pieces Teutons! from Hollandspiele (publisher of fine games). Free game, France 1914, about the German 1914 invasion of France (and Belgium)and the French people's heroic resistance to that - featuring the Taxicabs of Paris and Mata Hari rules, among others. Also now available in the professional boxed game with mounted pieces Teutons! from Hollandspiele (publisher of fine games). Tigers in the Ardennes, Revised 17Mar13, about the Nazi German December 1944 counteroffensive in the Ardennes Forest of Belgium and Luxembourg. Features special rules for Tiger Fright and Tiger Tank Breakdown, KampGruppe Pieper, Waffen-SS Ruthlessness, General Patton's Weather Prayer, Bridge Building, Demolition, and Busting, etc. Gazala Gallop, about Rommel's greatest victory in the desert, outflanking the Gazala Line and finally taking Tobruk from the British 8th Army, May-June 1942 - or can you reverse history? Stalingrad: Gorod Smerti, revised 13Jun13, about the Wehrmacht's disastrous failure to take Stalin's city by frontal assault in Sep-Nov42 - or can you reverse history? War Against Russia map segments - those transportation lines are roads, not railroads. Other components are on my other webpage. Northern - Revised Jul11, when I discovered Kalinin/Tver is on the south bank of the Volga, not the north. Free Cardstock Paper Model World War 2/II Warships Warship Plans. My new 3-D 1:1200 card model ships, complementing the Airfix Sink the Bismarck set. Free "2-D" World War II model ships, from ONI drawings. Photos of recent 3-D cardstock model ships I have designed. Italian prewar Navigatori class destroyer. Japanese light cruiser Jintsu ... and opponent. German Maasz class destroyer and K class light cruiser. Italian d'Abruzzi/Garibaldi class light cruiser. Those interested may want to read my 1994 Western Illinois University history masters thesis, THE KATYN MASSACRE: AN ASSESSMENT OF ITS SIGNIFICANCE AS A PUBLIC AND HISTORICAL ISSUE IN THE UNITED STATES AND GREAT BRITAIN, 1940-1993. Second 2nd Edition 1991 rules, player aids, and units, for my point to point Russian Front game Dark Crusade, published by 3W in 1984. How to fight, treat, survive chronic bronchitis, from a lifetime of experience.